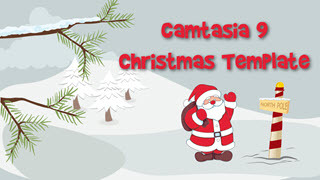 Camtasia 9 Christmas/Holiday template. All the included resources can be adjusted and moved. This is not a video playing behind, but instead you have full control of every detail. Change text, font, duration, music, colors etc, etc. Enjoy and Happy Holidays! Made for Camtasia 9 PC version.